Do you check out packaged foods nutritional information when you go grocery shopping? Those nutrition labels were made mandatory as part of the Nutrition Labeling and Education Act of 1990 and administered by the FDA to disclose important information, especially to those with special dietary needs and food allergies. It allows consumers to make informed choices about what they buy. When it comes to marketing data, there has historically been no such requirement. As a result, the quality of data that advertisers and marketers rely on for their campaigns has been about as clear as mud. That’s about to change. Neustar has joined forces with five of the leading marketer groups in the U.S. — the Association of National Advertisers (ANA), the Advertising Research Foundation (ARF), the Coalition for Innovative Media Measurement (CIMM), the Data & Marketing Association (DMA), and the IAB Tech Lab — to establish third-party data labeling standards. It’s an idea that’s time has come and the label will be in a test phase through March 2019. In today’s world of ever-growing datasets, along with the hundreds of different data providers, marketers and advertisers are overwhelmed and at a loss. With little insight into what’s included in the data they’re buying, and how it gets processed, they have no way to compare their options — or to know whom to trust. For our industry to succeed, we need to lift the smokescreen around where our data is coming from and how it’s being processed — turning opaque information into actionable insights for organizations large and small. That’s especially so as data transparency becomes a more pressing, vocalized need. Data privacy laws like GDPR and the soon-to-be enacted California Consumer Privacy Act (CCPA) put the onus of data responsibility squarely on marketers’ shoulders. Neustar believes that data providers should be held accountable for the data they sell into the market — just as the FDA mandated accountability for food producers’ ingredients 30 years ago. Data labeling standards create accountability. Providers will now be expected to accurately and truthfully represent where their data comes from and how it gets processed. The goal is to remove opacity and doubt, thus enabling marketers to make more informed decisions about the data they buy. To that end, Neustar has joined leaders across the marketing and advertising data ecosystem to build industry-wide standards and a new framework for data transparency. The result will be a Data Transparency Label: a “nutrition information” label of sorts for consumer-based data that gives marketers and agencies confidence that the data they use is accurate, reliable, and provides value for their investment. What Will the Data Transparency Label Reveal? 1. Which provider did the segment come from? 2. What is the source of their data? 3. Who is in an audience — and which audiences on the market are comparable? 4. How was the audience built? Combined, this information will give marketers a clearer understanding of the data they buy — so they can make better-informed decisions about what data they want to use, and which data providers they want to work with. 1. Data Solution Provider and Distributor Information specifies who the data solution distributor (and, where relevant, the data provider) is, including clear contact information. 2. Audience Snapshot offers a top-line description of who the audience is meant to target, and what geographic location (if any specific one) the audience covers. It also identifies the most relevant segment name from a new, standardized dataset taxonomy — helping marketers clearly identify what type of audiences they are buying. 3. Audience Construction includes audience count, level of precision (household or individual), the activation IDs (cookies, MAIDs), what applicable modeling or cross-device ID expansion may have been applied, audience refresh rates, and the time period over which the data was sourced (event look-back window). 4. Source Information includes critical historical details for each significant data source on how the data set was constructed (data provenance); what data is included (names and postal codes for example), collection techniques; refresh frequency, and the event look-back window. 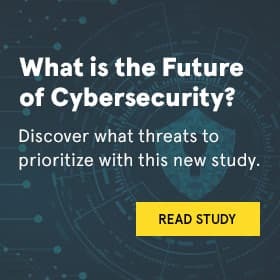 Neustar is proud to be at the forefront of this important initiative, serving as one of the 15 Identity Council Leadership Committee members. (Others members include Acxiom, Experian, Fluent, FullContact, LiveRamp, Lotame, Oracle Data Cloud, and TruSignal.) Neustar is playing a vital role in shaping the standards and practices of transparent and ethical marketing. This initiative will finally allow us to build a consensus around transparency and establish data-quality labeling standards. • An agreed-upon common language for the industry, as well as commercially available identity data that underlies target audience segments. • Consensus among critical industry organizations, representing all members of the ecosystem. • Peer-reviewed validation methods that make data labels comparable, and raise confidence across all users. As a leader in identity resolution and data transparency, Neustar believes our expertise and credibility will provide a valuable contribution to this effort, one that will strengthen the marketing and advertising industry as a whole. Food labels have helped turn an opaque food industry into one that helps shoppers make wiser choices for themselves and their families. It’s time for the same transformation to happen for data marketers. We’re confident that better data labeling will answer that call.